torts | H2O: Free, Open Casebooks for all. Learning American law requires reading a lot of cases. And cases can be long — sometimes really long. Traditional casebooks typically include only excerpts of most of their cases. A casebook’s editors decide what parts of each case should be included in the book and, as a consequence, they also decide which parts of each case will not be shown. Students interested in reading the whole case have to track down a full version elsewhere. 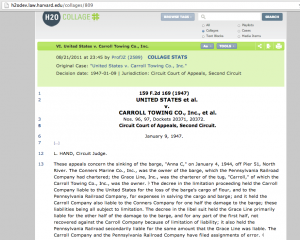 One of the tools H2O provides professors is the ability to show or hide portions of a text while maintaining the ability to read the hidden parts of the text by clicking on an elision box. 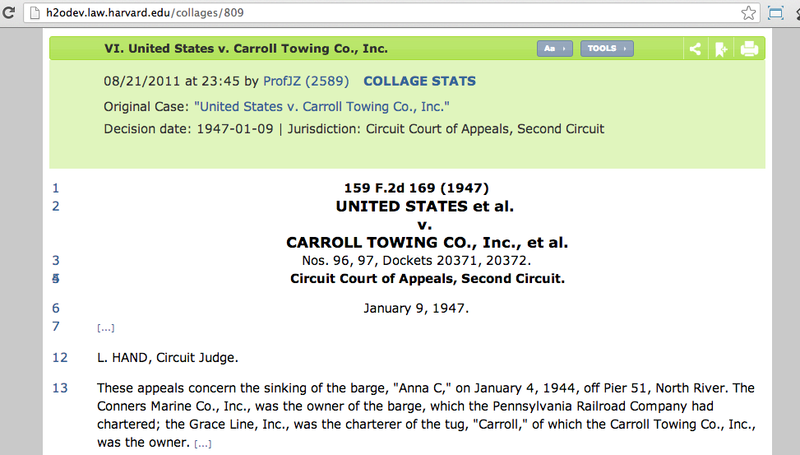 For instance, in Professor Zittrain’s edited version of Carroll Towing, students automatically see only the required portions of the text. Clicking on any of the elision boxes allows students to see those non-required portions of the text. To revert back to see just the required portion, students can just click on either of the wedges that mark the beginning and end of the non-required text. We plan to present H2O during the lightning talks at the Annotations@Harvard Convergence Workshop in the Radcliffe Gymnasium on March 28th. The event’s organizers have lined up a great collection of projects involving annotations. 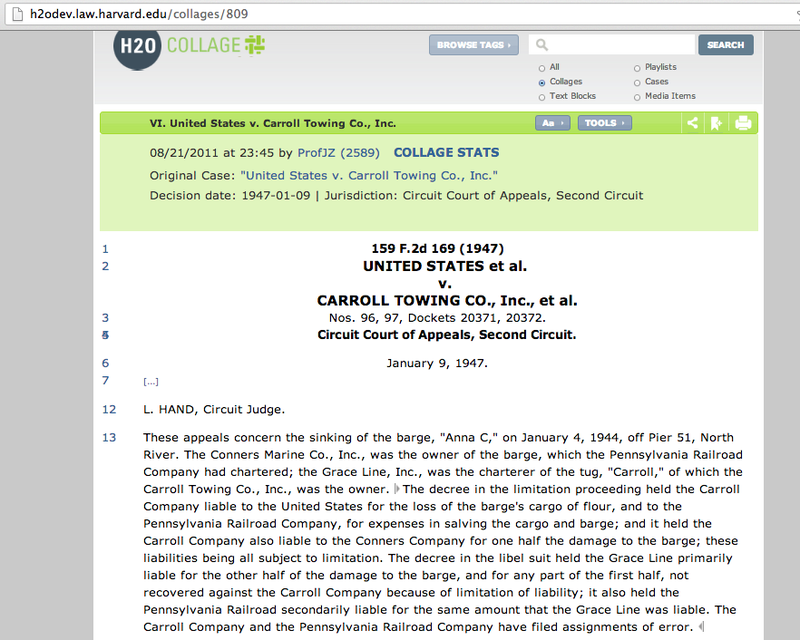 H2O allows users to provide in-line annotations in collages. 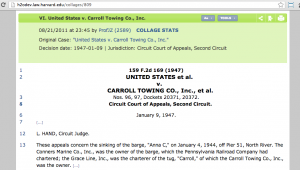 Professor Zittrain, for instance, added a few explanatory notes and definitions in U.S. v. Carroll Towing Co. in his spring 2013 Torts playlist.